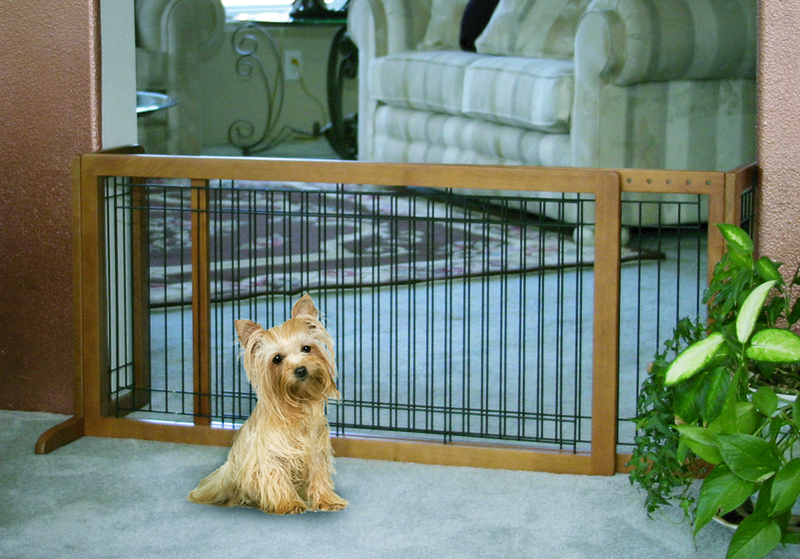 A wooden framed free standing pet gate with a wire mesh center. 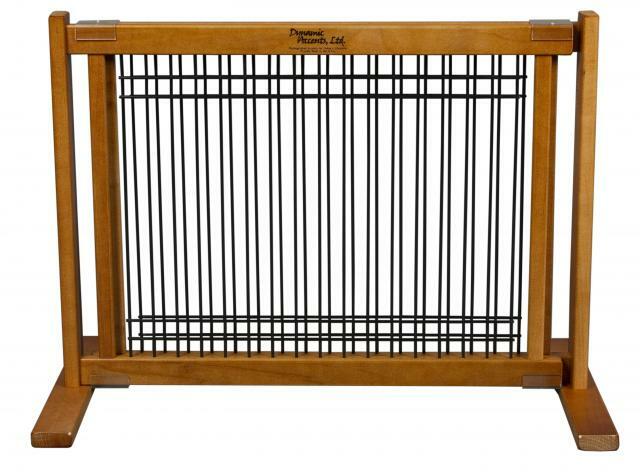 This is the smaller version of the Kensington series 20 inch high wood/wire pet gates. It expands from 28 inches to 48 inches, and the beautiful artisan bronze finish provides an attractive look to match most decors. 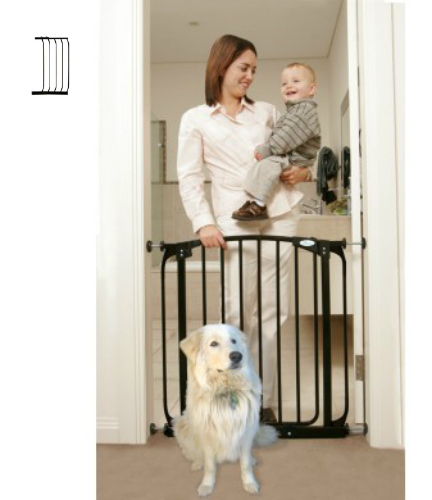 Bindaboo Extra Tall Hallway Pet Gate Plus 3.5 inch extension in Black (39.4″H, 38″ to 46″W). 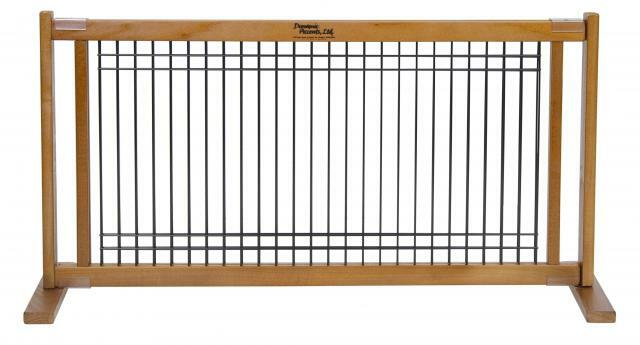 This gate is great for large pets and has reinforced steel to counter pet strength. 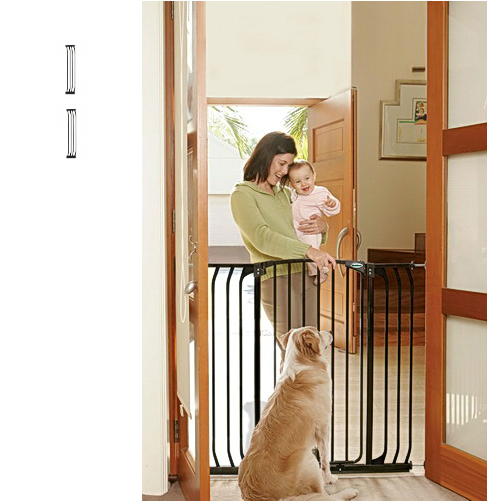 This Swing Close Pet Gate package includes a black pressure mounted gate with one 14″ extension. It is very easy to set up and take down. Great for hallways or doorways this gate reaches a width from 43 to 45 inches. 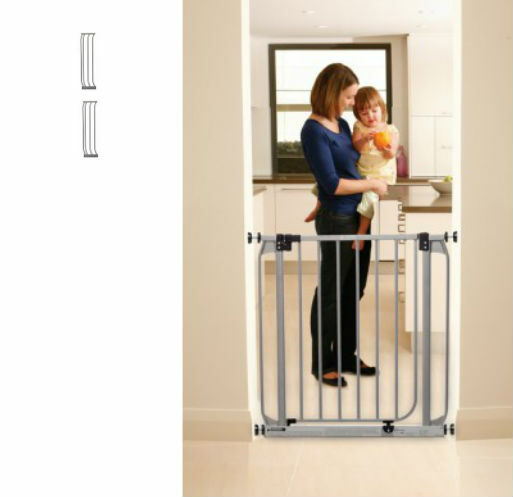 The smaller version of the Kensington series 20 inch high Free Standing pet gates requires no installation, just place it where you need it. The 15.75 inch leg base prevents tipping and rotates flat for compact storage. 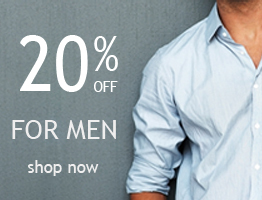 Handcrafted of mortise and tenon construction with beautiful wood finishes. Warm White version. Extra Tall SC Hallway Pet Gate Plus 3.5 (42 to 45W) – Black has a door opening of 20 inches and a height of 39.4 inches. Great for large dogs! Pressure mounted and easy to set up and take down! 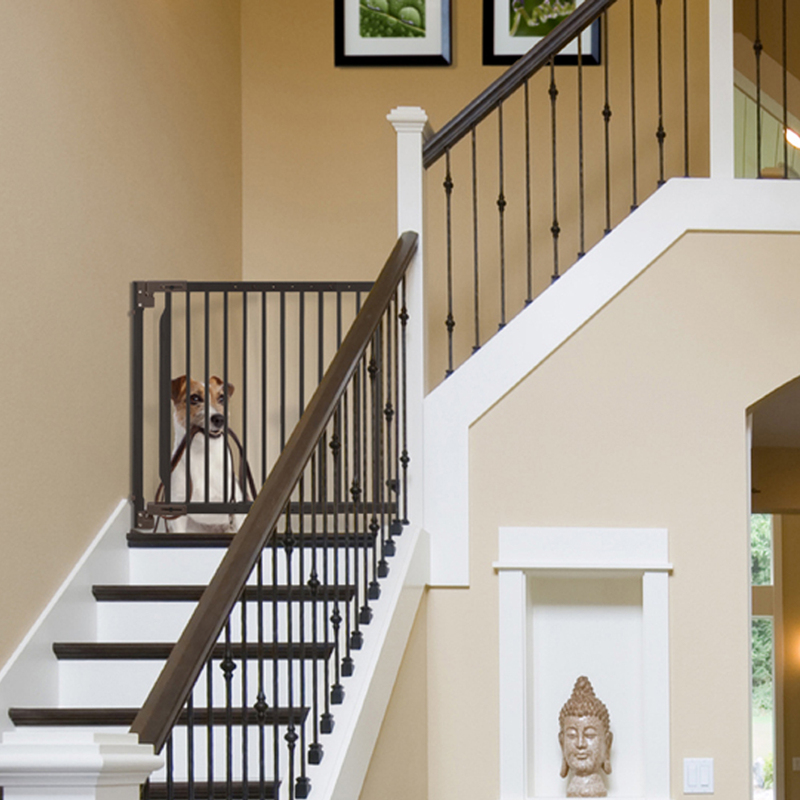 The Expandable Walk-Thru Pet Gate is perfect for the top of a stairway and attaches securely to wall surfaces. Gate locks automatically when door is released at 45 degrees. In beautiful hardwood construction, the Freestanding Tall Small Pet Gate – Origami White can be placed anywhere you need it at anytime. The Dawson Swing Closed Security Pet Gate Plus Two 7 is a silver colored, steel, pressure mounted gate with a door that opens in both directions and swings closed automatically. Door can be left in open position if required. 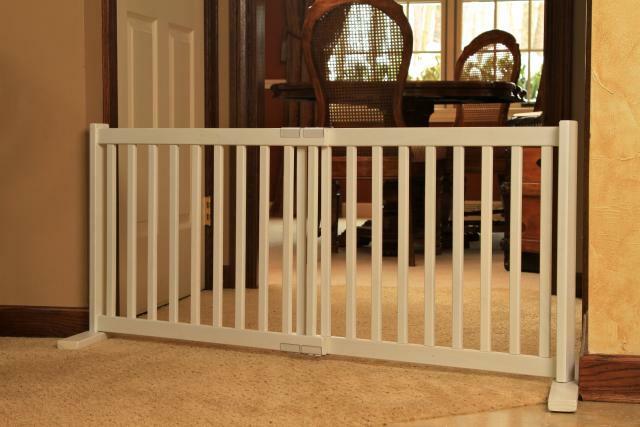 This Pet Gate package includes a white pressure mounted gate with two 7″ extensions. It is very easy to set up and take down. 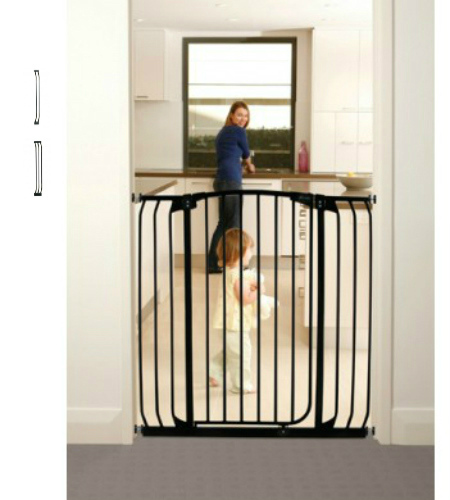 Great for hallways or doorways this gate reaches a width from 43 to 45 inches. 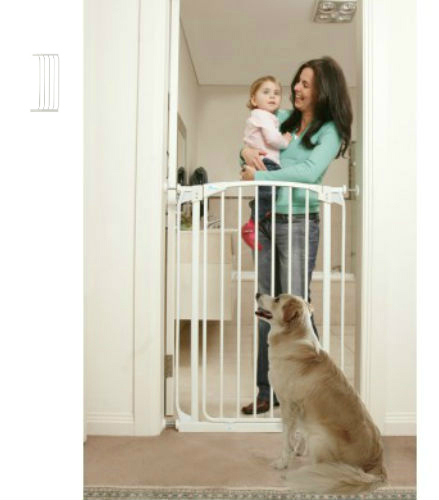 The Extra Tall Swing Close Security Pet Gate is pressure mounted and very easy to set up and take down. Great for doorways and hallways. 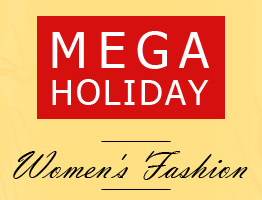 This package includes one 14 inch extension. White color. 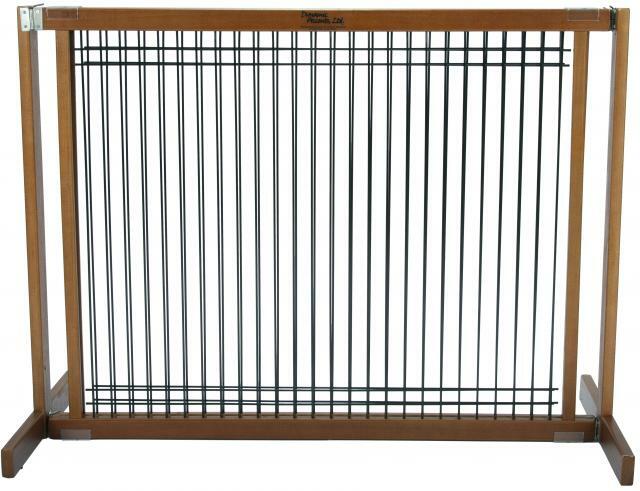 Bindaboo Swing Close Hallway Security Pet Gate in White (38 to 46 Inches). The gate is pressure mounted and opens in both directions.